Give yourself the choice of fighting back, give yourself the choice of not being a victim. 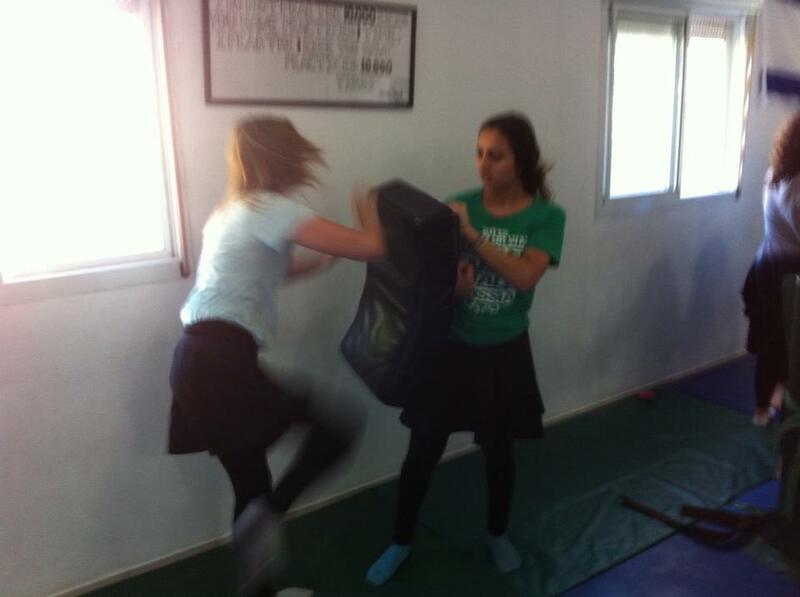 Young American women training in Israel. What is a life without choices? Imagine a time when you had no choice as to your education, career, where to live, life style, marriage, your own body. It was all decided for you. A life without choice is a life without hope. Imagine not being able to defend yourself, being the perpetual victim, never being allowed to stand up for yourself. Today we have the opportunity to stand up for ourselves, for our rights. Martial arts and self-defense schools are everywhere, but most are struggling. Most instructors have to hold several jobs just to keep the school alive. They work to support the school, their dream, rather than the other way around. Was he a good kid? Did he have friends or was he a loner? Everyone wants more and more details about the attacker. Soon there will be a full TV show dedicated to his life. Teachers will be interviewed, neighbors, friends, relatives, will be asked to discuss the troubled youth. The attacker does not interest me, it is those who are being attacked that interest me. Did they see it coming? Did they have any self-defense training? And, what will they do now? Will they wake up and make a change in their lives. The answer is no, they will not. They will cry, they will post photos, they will do "Like" and "Share" but they will not start looking for a Krav Maga school. The school owner/instructor will offer a free T shirt and one month free membership but...there will be few takers. A month after the tragic attack and it will be mostly forgotten. Life goes on, unchanged for most. Some will never recover from this traumatic event but yet, lessons will not be learned. In Israel, the first question asked is, What can we learn from this? We must draw lessons. I assume it is the same elsewhere. We analyze the events; What was done correctly and what mistakes were made, and most importantly, what are we going to do differently from now on. It has become part of our language, Lehafik lekachim, to draw out lessons. But not just lessons, the word lekahchim has a more profound meaning. It is more along the line of "Moral lessons", "lessons to live by", "life changing lessons". It is "taking stock" and seeing what was right and what was wrong, it means that "business as usual" is not about to happen. Changes will take place. When we train in Krav Maga the idea is to give people choices, options, possibilities. It means that if someone enters your home with a knife you do not have to die, or be stabbed. There are other options, and you are free to choose. You have possibilities. I have students who will never be masters of the art, their attendance, life obligations etc prevent them from making the commitment I would like to see. But yet, even the minimal training they do receive is enough to give them some options, some choices. God forbid, in a real life situation, they will have some options, they will have the possibilities of some basic self-defense. They will have a much better chance in life. It is always better to have choices.